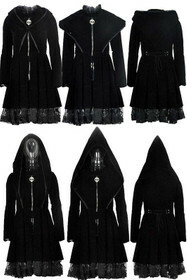 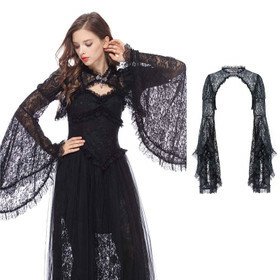 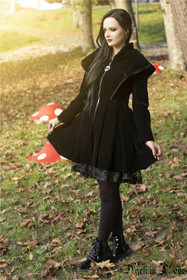 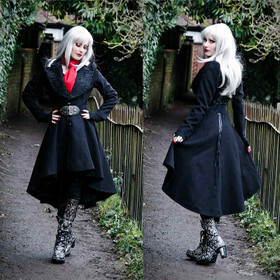 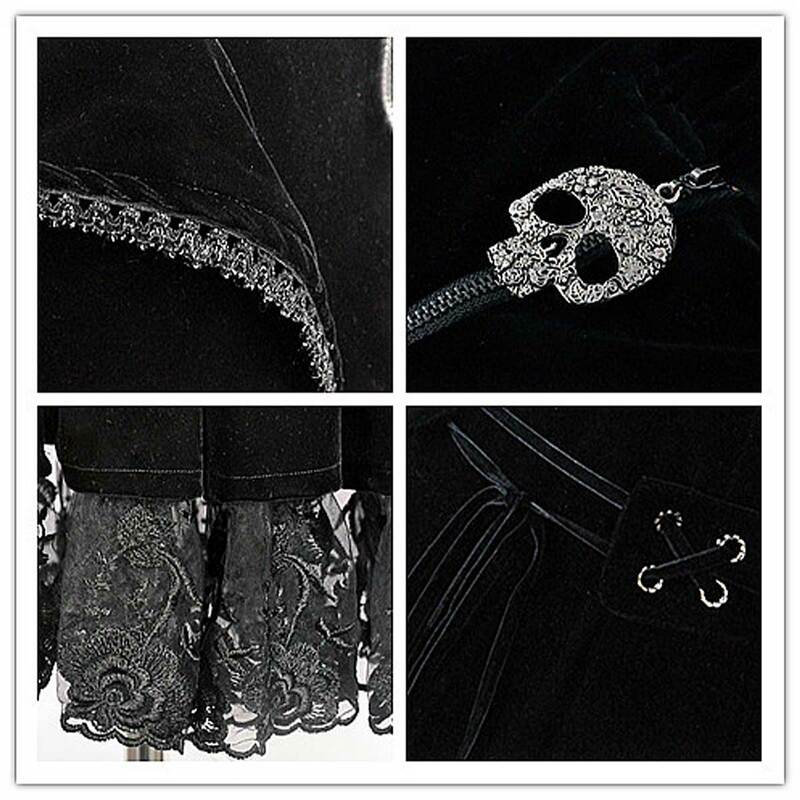 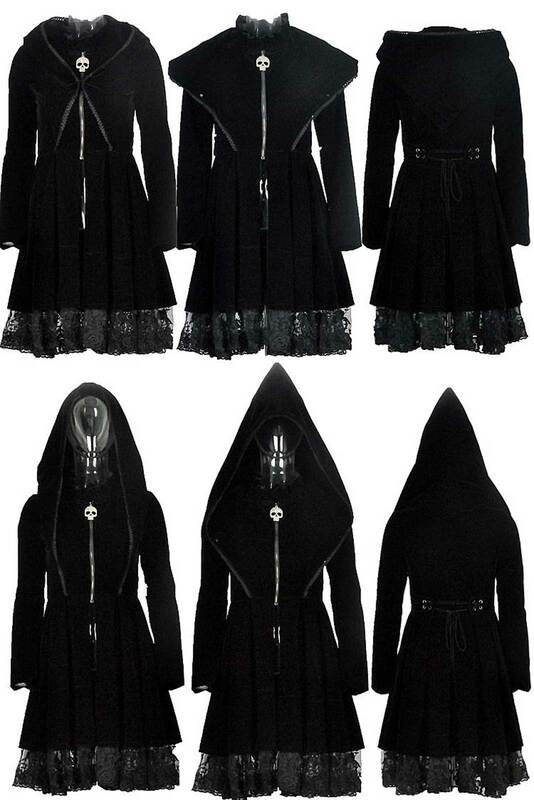 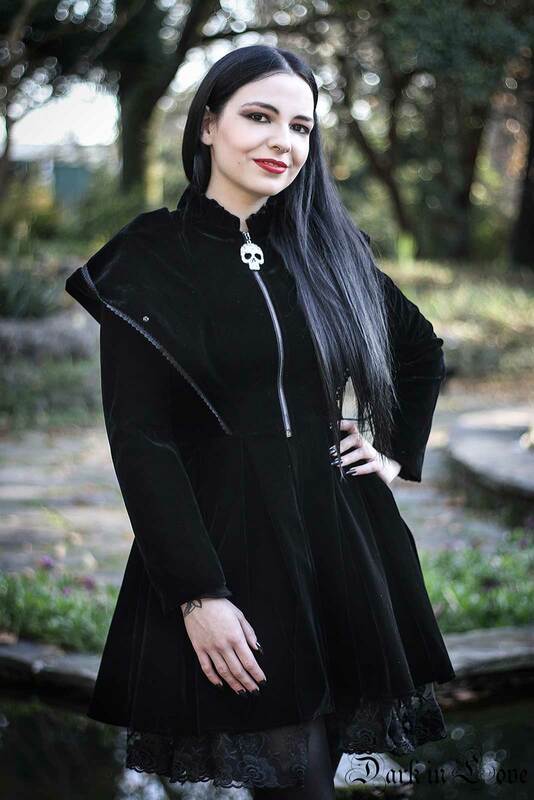 Cute gothic short coat by Dark In Love. Deep black velvet, black satin lining. 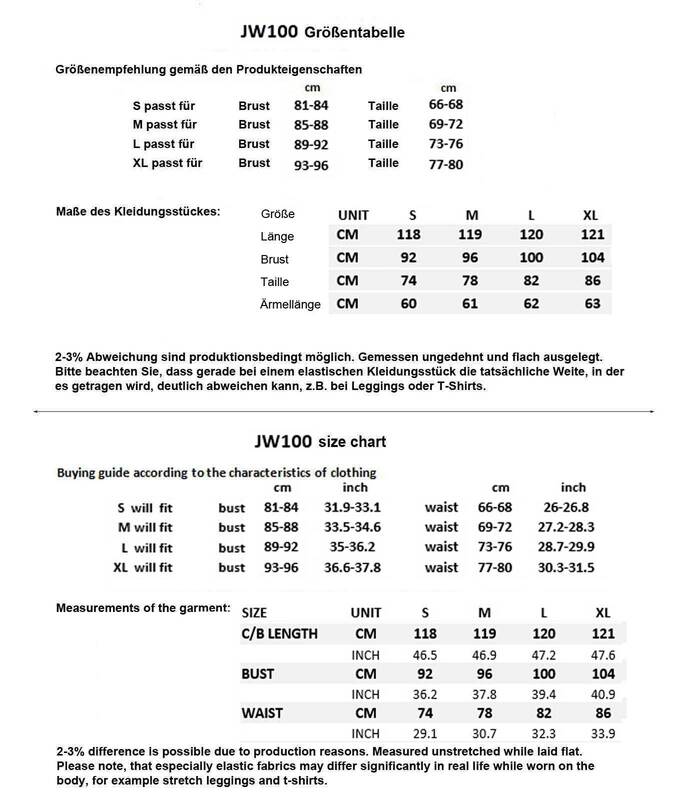 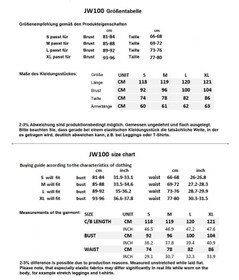 Waisted cut, with wide swinging skirt. 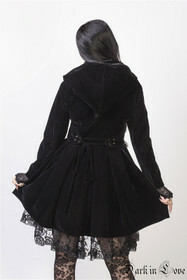 Wide hood with pointed cap and tiny black lace border.